The passing of so many great jazz musicians this year makes this world a truly sadder place …. 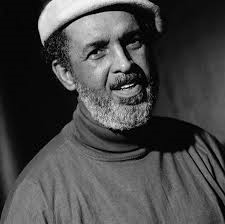 Two days ago one of the greatest groove drummers of his time, Idris Muhammad (born Leo Morris) passed away. Not only did he support almost all jazz greats of today at one time or the other, but he did as well some amazing albums under his own name, first of all the evergreen Power of Soul on the KUDU label in 1974. As a sideman he worked among others with George Benson, Lou Donaldson, Pharoah Sanders, Randy Weston and lately with Ahmad Jamal, giving them the backbone for their performances and recordings. I will remember Idris as a warm and kind human being, with a great sense of humour and many music stories to tell – just check out his 2012 book ‘Inside The Music: The Life of Idris Muhammad’, which he wrote with his friend Britt Alexander. Idrid Muhammad: a soul of musical power – unforgettable! 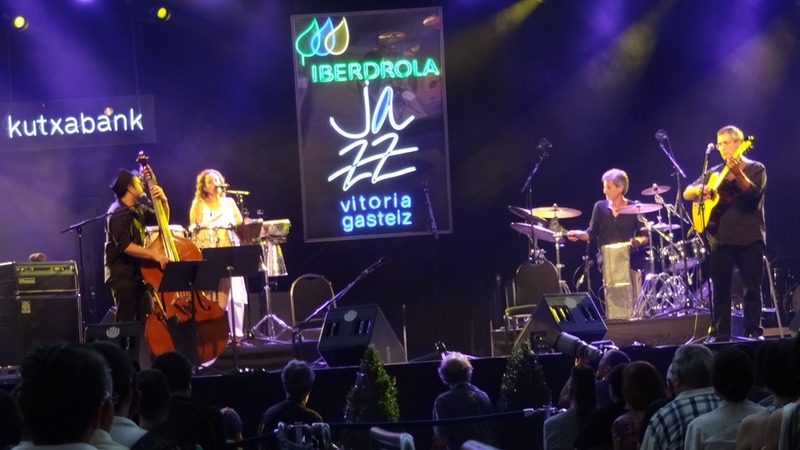 As almost every year we visited the jazz festival in Vitoria-Gasteiz to listen to great music, eat well (at the amazing Sagartoki, which has been voted three years now as having the best Tortilla de Patatas in Spain … and the Huevos Fritos alone are worth a trip up there ….) and generally have a good time in the company of the great people who are running the festival. 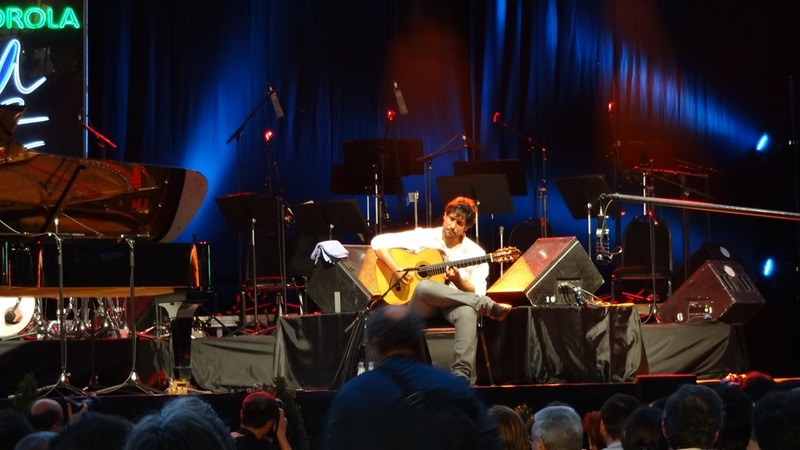 Our first day opened with a performance of pianist Chano Dominguez and guitarist Niño Josele, whose first duo concert this was – a world premiere of the album Chano & Josele, which will be released in September. 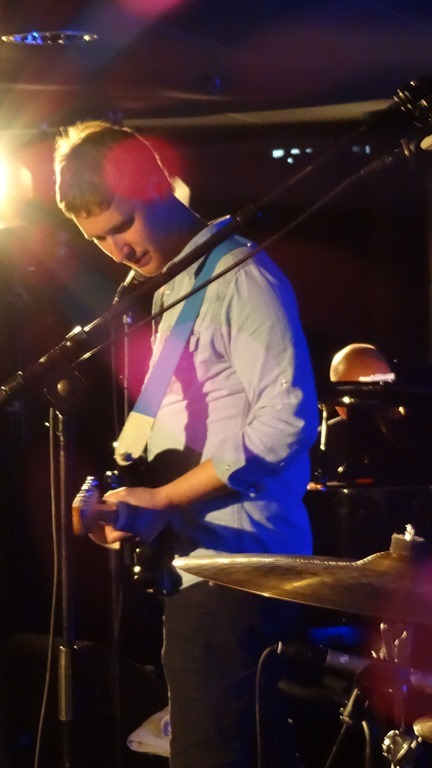 A deep musical understanding of the two artists made this concert special from the first minute, exchanging improvisations, playing with the tunes and seemingly enjoying this show. Some of the songs just worked perfect, like John Lewis’ Django, one of the most amazing tracks on the record, here performed with many new ideas and twists and full of feeling for the essence of the song, others will need to be played more often to reach what the artists already promised in that first performance. A deserved standing ovation from an enthusiastic audience that Asked for 2 encores ended that initial concert, but more will follow all over Europe in the second part of this year and early 2015. This show was followed by Darcy James Argue’s Secret Society, but as I had seen and heard them already in Rotterdam the weekend before, we opted for an earlier night and just had a vino before retiring to our room. Noa opened the next evening’s shows – with a read message about the madness of the war in Israel/Palestine and then performed old and new material in a captivating mix – as usual perfectly support by her husband and guitarist Gil Dor and this time bass and percussion. She is simply a great performer and even the ‘old’ song still sound fresh, as today’s version of I don’t know impressively showed. 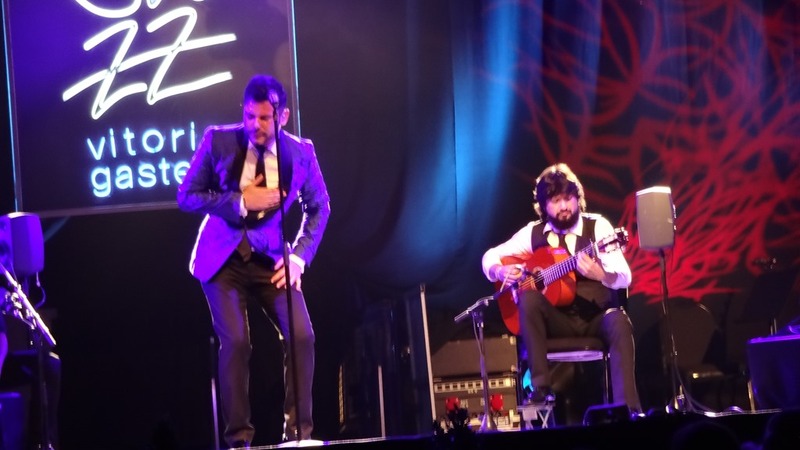 Then Miguel Poveda – one of Spain’s most impressive voices – Coplas and Flamenco and …. He is a very emotional and expressive singer, who performed from a really small more flamenco based group to up to an octet with horns and in every format he was truly comfortable and musically at home. The audience definitely loved it and showed their appreciation with shouts of Olé and standing ovations after some of the songs. He ended his show with asking Noa to join him on stage and they performed a few songs together – a great finale to a glorious night of voices and music. July 11th – I am at the North Sea Jazz Festival and messages are coming in from various sources on various social networks: Charlie Haden has passed away age 76. Hard to believe, even so the great man was struggling with health problems the last few years and hardly did perform anymore. I started working – in different functions – with Charlie around 20 years ago. He was then signed to Verve US with the Quartet West, then moved his contract to Universal France and finally I did sign him directly to Emarcy, all of these labels are part of Universal Music. I always had loved Charlie’s music – his beautiful and full sound on the bass, the way he could tell you any story on his instrument, the clearness of his music and the deep emotional content he offered to his listeners. I had listened to him on record and live in Keith Jarrett’s American quartet, Old And New Dreams with Don Cherry and many other combinations. 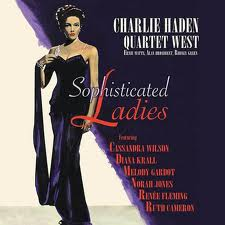 I love the Quartet West and his work with John Taylor and of course The Liberation Music Orchestra. Charlie was a man with many faces, as a human being as well as a musician, but the talks we had about music and movies I will always remember, as well as signing him to Emarcy/Decca and being involved in some of the last recordings he made under his own name: Rambling Boy, Sophisticated Ladies and the second duo album with Hank Jones, Come Sunday. Great, lasting recordings of a master on his instrument. Charlie will be missed by many, I am one of them. 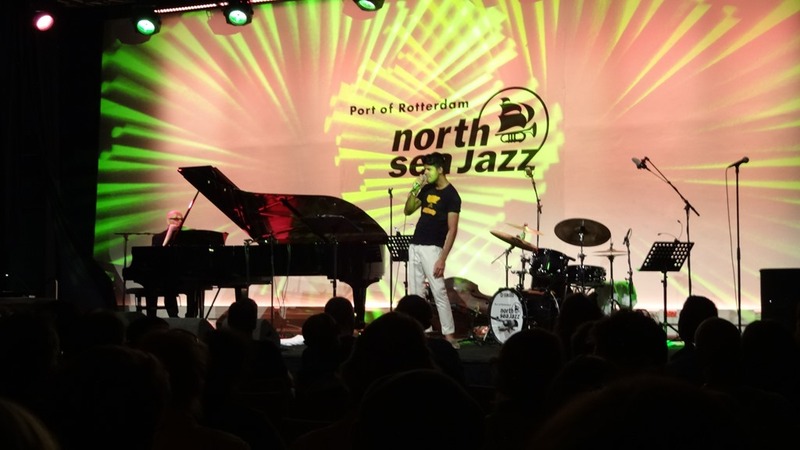 Rotterdam, Friday, July 11th 2014 – the first day of the annual North Sea Jazz Festival, which again had an amazing program of jazz and jazz-related music to offer. I started the night with Robert Glasper, whose last show I saw was disappointing, but this time he performed with The Metropole Orkest under Vince Mendoza, and it was simply incredible to hear Glasper’s songs arranged for an orchestra and with Vince he had the best guy to work with. 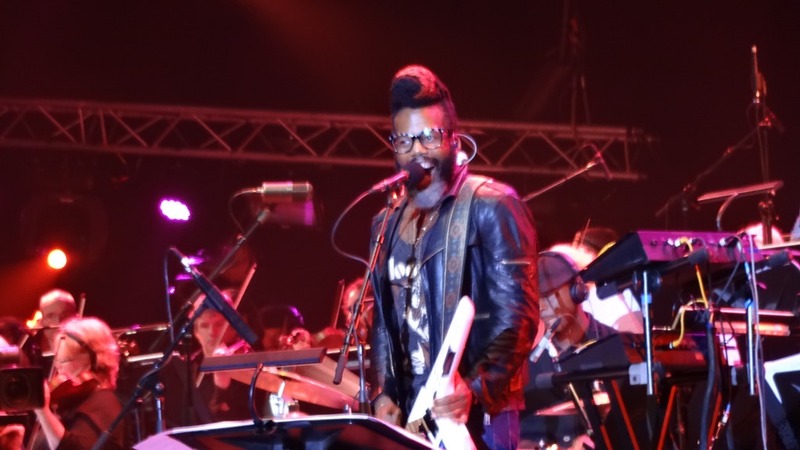 The full sound gave a different power to the compositions and Glasper and band added what was necessary to not make it cheesy …. A welcome surprise. Then I ran off to see a bit of Phronesis, the bass led piano trio that is making waves in Europe … and deservedly so. Exciting playing of complex compositions, great understanding and communication and fantastic improvisation from all three musicians made this concert a pleasure to listen to. I didn’t stay for the whole gig, as I wanted to see a few minutes of Pharoah Sanders as well – a legend still touring and performing … and there are not many left of these! 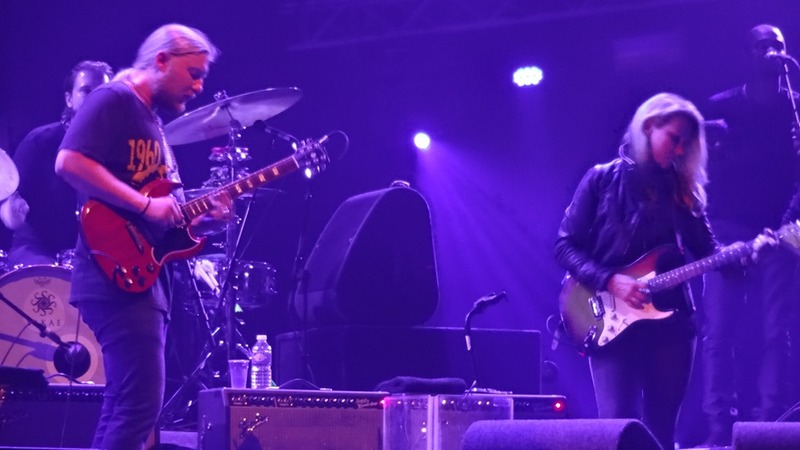 The two songs I hear were powerful and exciting to listen to – Sanders in great form and blowing hard and his band in great support of the soloist. Hope to get a chance to see the full show next time. 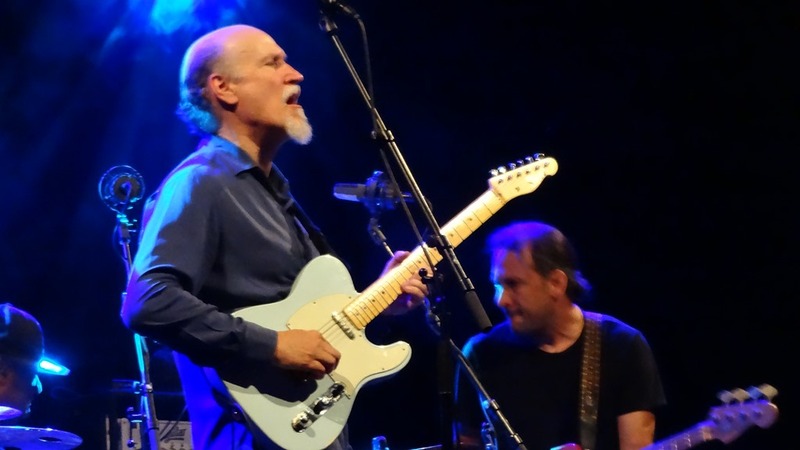 But I checked the full concert of John Scofield’s Uberjam Band – and it rocked! John is just incredible – ever single time I hear him he really gets me with his amazing playing and the guys in the band are just pushing him further and further … Playing the recordings from the 2 Uberjam albums live is a treat and on the night John was in amazing form and improvised and let rock like only he can! One of the best jazz guitarists of our time – versatile and constantly exploring new avenues of expression. More guitar heroics then with the Tedeschi Trucks Band … a blues/rock outfit in the tradition of the Allman Brothers with a sharp brass section, a great rhythm section and Susan Tedeschi on vocals and guitar and Derek Trucks as the lead guitarist, who surely knows his blues … great riff’s, amazing screaming and pleading soli give proof that he is one of the best rock guitarists around today. A great show to end the first night of fantastic music. 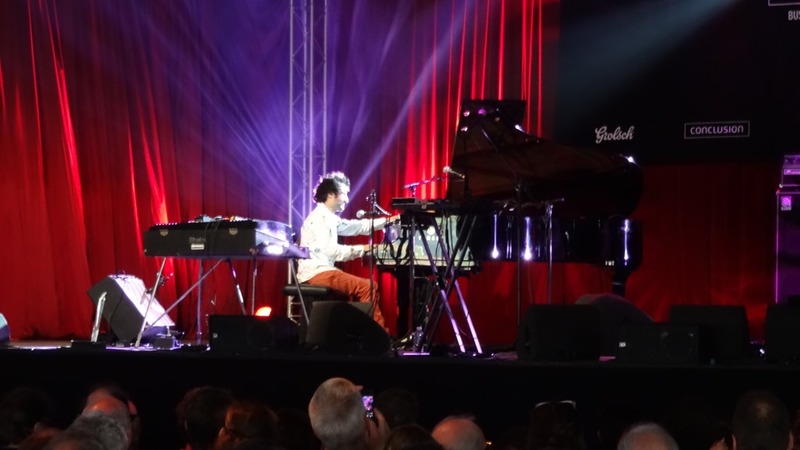 Day 2 – I started the musical evening with a bit of Tigran’s show – he is one of the most amazing young pianists around and he is fusion of jazz and Armenia folk music was a great success in Rotterdam. Then quickly to see Zara McFarlane, a young singer lots of people are talking about at the moment and under the wings of Gilles Peterson, who has a great track record in discovering voices … from Jose James to Nailah Porter … and Zara is truly talented. A great voice and good control she surely will make her way – the songs still lack something, but with a good co-writer she will be one to watch. Then off to see a bit of Richard Bona, who performed with Manu Katche, Stefano DiBatista and pianist Eric Legnini – a powerful group around the masters of Bona and Katche – especially saxist DiBatista showed some great skills and beautiful and imaginative improvisations, as did pianist Legnini. 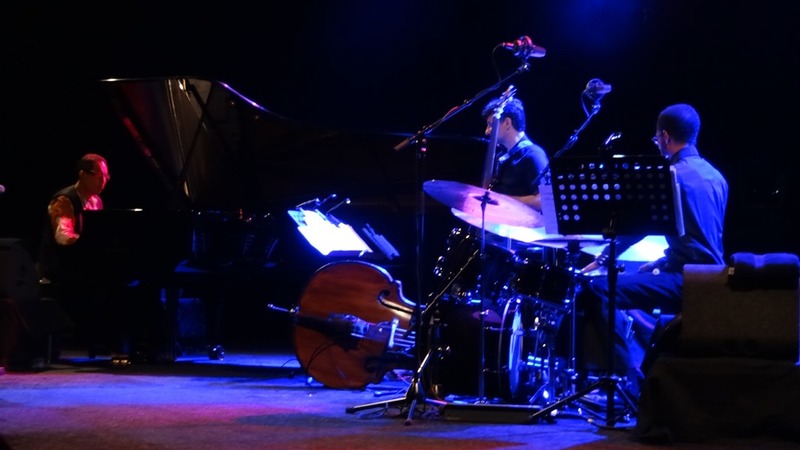 From there to the next venue to see the Trio of Danilo Perez, John Patitucci and Brian Blade, showing that they can exist as a group in its own right and not only as the Wayne Shorter band …. Great com[positions performed with the usual imaginative group improvisation and top soli made this concert a true pleasure to listen to. I hope they will tour more often in that formation, to see their own music develop and to establish their own voice, something already there in this captivating show. Off to catch a bit of Ibrahim Maalouf, the exciting trumpet player and his very unique mix of jazz and Arabic and world music influences. A powerful set with a great band and a charismatic leader, of whom I would have loved to hear more, but Stevie Wonder was waiting. Unfortunately the venue he was playing was so packed, that there was no way to get in and listen … so I checked my program and marched off to see Dr. John …. A great New Orleans show based on the music of Louis Armstrong with a groovy band and a sharp brass section and Nicholas Payton as special soloist. Dr. John’s arrangements of the music associated with Armstrong were great and at times odd, but working well overall. Payton was the perfect choice for Louis’ part, as this is his music as well and was comfortable in improvising on top level when asked. 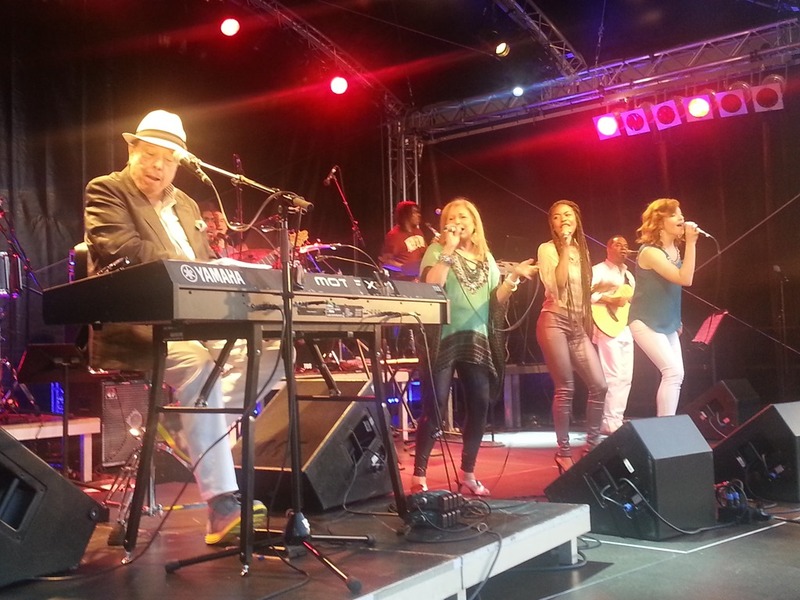 A cool and groovy way to end the second night of North Sea Jazz 2014. Day 3 – Darcy James Argue’s Secret Society is surely one of the best big bands around today – great composition, powerful arrangements and incredible performances and soli by all members of the group are a trademark of the records and the live show. This was the first time for me to see them perform and I enjoyed every single minute of it and so did the rest of the audience, which cheered each tune and solo. 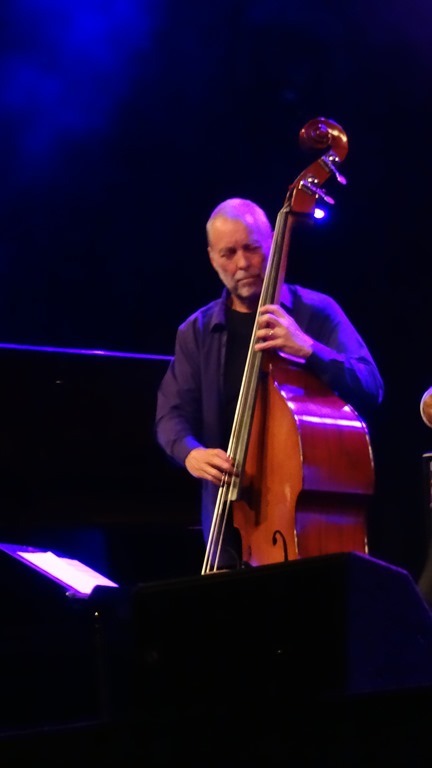 Then I had a dilemma: both OKeh acts for that day performed at the same time: Dave Holland’s Prism with Craig Taborn, Kevin Eubanks and Eric Harland and Nir Felder 4, the group of young guitarist Nir Felder. So I had a chat with Nir and the guys before the show and listen to them for around 40 minutes – performing tracks from the Golden Age album Nir released earlier this year. The audience in the packed room was truly amazed and as well as I glad that we had catched some of this show. Prism is one of the hottest groups around now and they showed again why – jazzy improvisations on rock grooves and fantastic interplay make this group so special. They played mainly tunes from their first album, but are already looking forward to record again next year …. can’t wait to hear this. Then wandered off to see Sachal Vasandani performing 3 songs with British singer Ian Shaw and his Trio. Shaw is a truly original – a great singer (his version of Joan Armatrading’s Shelter from the Storm was something else …) a comedian (which was made clear in his really funny announcements) and a true gentlemen who gave Sachal space to shine and get a great and positive reaction from the audience, who loved his voice and performance as a guest. Back to the Hotel to have a drink with Dave Holland, I just arrived in time to see the second half of extra time in the world Cup final … Germany won (as I had expected and hoped, as they had been the most impressive team overall in the World Cup) with a great goal and we all celebrated a bit afterwards – what better way than that to round up another great North Sea Jazz where I did see and hear lots of great music, but as well missed a lot too…. Will be back next year! Continuing from the previous block from New York – the following day I went out with my A&R colleagues from Masterworks to see a young singer/songwriter performing – Kate Yeager. Kate has a good voice for the slightly rock oriented songs she presented on her own, just with her guitar. Some of the songs are actually pretty cool and I wondered how much more powerful they could sound if presented with a full band. Kate needs to learn a bit about stage presence and presentation, but that will come with more gigs. An interesting young lady with some potential. After her came Danielia Cotton on the small stage and she really surprised me with a great rock voice and some really good rock songs – I am the Lighthouse Keeper is still running around in my head and I am mentally singing along with the hook ….. and her version of Purple Haze alone is worth checking her out. She got a good band too and the new album , with Lighthouse Keeper, is due to be released soon. Back from New York and then off to Berlin – a little trip down Memory Lane, as I showed my wife places I used to live and went to school when living in Berlin in the 60’s as a kid …. And of course music! First we went to see Dolly Parton – not usually an act I have on my list to see live, but the opportunity presented itself and we took it and we enjoyed it immensely! She is a true entertainer, engaging with the audience via stories of her life, performing with a great band and a still amazing voice all of her hits – and there are many. And some covers, like a gospel version of Bon Jovi’s Lay Your Hands On Me! A great night out. 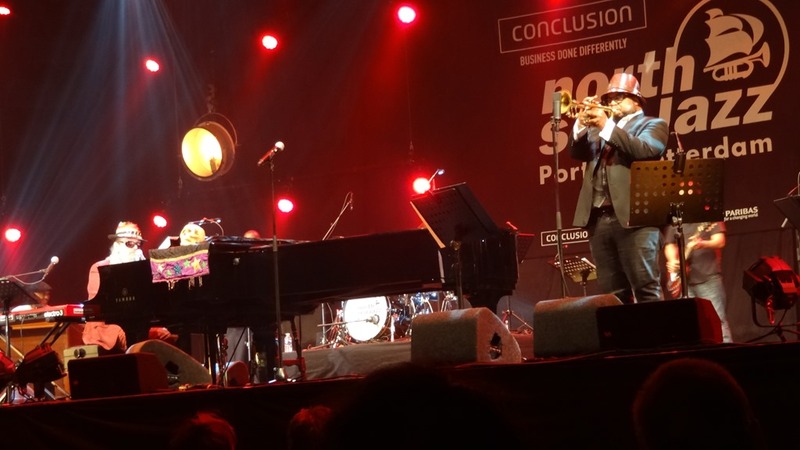 Next day it was the amazing and legendary Sergio Mendes, who performed in Berlin as part of his European tour to promote the new album MAGIC – a groovy, Brazilian album with great music and a host of special guests. Live the new songs fitted perfect into his program of all time hits, first of all Mas Que Nada, which he still plays with full energy and the audience sings along with him and his wife Gracinha, the lead singer in a the excellent band. Sergio knows how to pace the show, make the people dance and give them a good time …. And what more can we ask for from a concert anyway?